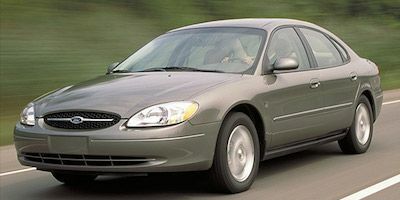 For more than 20 years, the Ford Taurus was one of the top-selling sedans. With that many cars on the road, it's easy to see why there are a lot of imitation Taurus parts available. At FordPartsOnSale.com, we carry only original factory parts for all Ford models, from the Taurus to the Ford 500. Radiators – A leaking radiator will keep your engine from cooling, and that can cause serious engine damage. We offer radiators and other cooling system parts like fans, belts and water pumps. Hubcaps - We can help if one of your hubcaps is damaged or missing. Improve the looks of your Taurus by replacing old hubcaps. Accessories - From floor mats to cup holders, we carry every accessory you will need to keep the interior of your Taurus in perfect condition and resale value. Here at Ford Parts On Sale, we pride ourselves on experience and expertise. We stock a full line of Ford maintenance and repair parts for vehicles made since 1984, and each staff member has extensive Ford parts experience. If you have a question or just prefer to order by phone, you can reach our knowledgeable staff at 585-475-1064.